As a young woman, I naively thought that the evidence was so overwhelming that we’d steadily see doula research in major medical journals. Nursing and medical students working on research degrees would pair with their professors and community members to answer these pressing questions. The fact that our answers could impact future generations would provide enough incentive. We could stop women’s bodies from being permanently damaged by outmoded obstetric practices and facilitate trust and communication between client and caregiver. We could help mothers and babies have the best possible connection from the very beginning. We could increase physician and nurse sense of connection to patients and colleagues thus positively impacting their mental health outcomes. Doulas do this by offering two commodities that are scarce in the hospital system: time and a listening ear. I am no longer young. 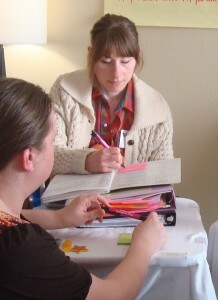 Anyone wanting to study doulas from a medical perspective has been shushed or shut down – that’s my only explanation. They’ve been quietly steered to other topics that would be more acceptable to medical or nursing professors serving on the approval or review board committees. While there are plenty of theses and dissertations on doula topics, very few of them actually add to our understanding of doula support. They are almost exclusively from the social sciences not a medical field. Most focus on the way labor support is experienced by parents or doulas because that aspect is accessible. My conclusion is there are few doula research studies because of obstacles from medical politics and outmoded beliefs which I explore here. Part III will cover difficulty in research approvals, funding and publishing access; and the feminist political agenda of the U.S. women’s movement. Doulas represent the laboring person. They don’t want to maintain the system as it is, they exist to disrupt the system from offering impersonal care. Their very existence demands that the hospital see the patient as an individual, with their own particular needs. Anyone who has a vested interest in maintaining the status quo will actively resist any research on birth doula support. Doulas are unpredictable. Because they make a stand for the primacy of their client’s interests, no one is quite sure what they will do. Ask for the squatting bar? Even wanting a spontaneous labor to take as long as it needs to rather than following a predictable timeline is heresy in some labor and delivery units. Doulas actually interrupt physicians from doing interventions so they can be discussed with the patient first. Doulas disrupt the power imbalance in the labor room. Doulas insist that power be shared with the laboring person (patient) and that medical careproviders discuss benefits, risks, and alternatives. Doulas assist their clients to develop a collaborative relationship with their doctors, even when that is not the wish of the physician. Many doctors are used to making autocratic decisions and not having their opinions questioned. They do not see the benefit to the patient or to themselves, even though it leads to charting of the conversation that benefits the physician if there is need for a review or inquiry. Doulas empower women. Current western society is still built on the premise that women are not equal to men. These patriarchal beliefs are woven into our majority culture along with white supremacy, colonialism, and racism. Anytime an oppressed group exceeds their allotted power in the system, the fear grows that it will spread to other groups. The existing system sees sharing power as a loss rather than a gain. Since doulas are basically disruptive to the status quo they cannot be empowered in any way including research funding or internal review board project approvals. There’s no clear way for hospitals or medical systems to make money exploiting doula support. Although there’s a lot of controversy about the unpredictability of maternity care billing here and here, as a general rule the current system pays more money for a birth when more interventions are used. Since doulas have been shown to reduce the need or use of those interventions, and doulas cost money, there’s no financial incentive to explore labor support. Until the billing and funding systems change there will remain no financial reason to explore doula care except for Medicaid patients. The only medical systems that employ doulas do so because it solves their other problems not because it primarily benefits women or babies. That’s why these systems haven’t published on positive obstetrical outcomes, because there aren’t many. In my own observations, these programs only exist when they help the hospital to attract customers or when the doulas solve other problems in the labor and delivery unit. They don’t exist to get better outcomes, lower complications from interventions, or empower patients in the medical system. Babies don’t feel pain or remember what happens to them so whatever you do to them doesn’t matter. Women’s bodies are mechanical in nature, so treating the body as a machine with technical difficulties is the right approach. The fact that there is a person inside the body influencing how the body functions was not a part of that original thinking. Physicians function best when divorced from their own lives and feelings and practice in a vacuum, focusing solely on the mechanics of the body and objective data. Nurses are there to be the physician’s hands and eyes, not to have a voice or their own unique knowledge and contributions. A mechanized system of medical care delivery, based on a factory model, provides the best results for the majority of people and the system itself. We can see how toxic each of these beliefs are. Yet they are still present in how labor and delivery units are designed and how people do their jobs. Acting as if those beliefs are wrong is heresy! Yet that is exactly what doulas do. So no wonder no one wants to pay money or spend time to do research on birth doulas unless they are also invested in changing the way medicine is practiced. Think about it. The changes that many wish to see in the way obstetrics or hospital midwifery is performed challenge one or more of those founding beliefs. My cynical side says that they have no reason to worry as it takes 17 years for the best evidence to actually become medical practice. In Part III of this series, I’ll explore the obstacles inherent in the research process. Part IV covers how the lack of any kind of childbirth rights agenda from U.S. mainstream feminist organizations affects doula studies. Part I covers the doula research I thought we’d have in the 37 years since the first doula study was published.